A trial in Melbourne's emergency medical departments conducted through partnership with RMIT University (where Dr. White completed his Acupuncture and Neurophysiology research). This sort of research proves promising for Acupuncture to be accepted into emergency care as it is in other parts of the world. Dr. White, for one, has been applying acupuncture at Royal North Shore Hospital and Royal Rehab Centre's spinal injury units for over 8 years with very promising results in the management of paralysis and pain (in conjunction with other rehabilitation therapies). The mechanisms of Acupuncture's effectiveness in treating pain is very clear from the Chinese medical scientific paradigm. Slowly, but surely, modern research are making positive steps to try and understand it through their medical and scientific system. With more research from both parties integration and development for future clinical methods can occur. More often than not a lack of core engagement, overworking of the wrong muscle groups and postural deficiencies lead to back pain and discomfort. This can come from excessive sitting at the computer to excessive weight lifting - it all depends on how long you are doing it for and what position your body is in. Through clinical work with a number of posturologoists, physiotherapists, and osteopaths I have found that corrective exercise (such as stabilisation through various postures and acupuncture to be the best method of addressing these issues. Acupuncture has the distinct advantage of access to the different levels of stabilising of the vertebral column which other techniques simply can't get to. The classical perspective of the tendon / sinew channels in acupuncture give great understanding to fascia and the scaffolding of the body. Do you stretch enough? What is enough? And are you over stretching? Flexibility is so important to not only the above stability and postural necessities but to help our entire body understand itself as a connected unit. All too often we seem to address in medicine one thing at a time and rarely do we look for the connecting elements of disease. Not in Chinese medicine and Acupuncture though, it is a medicine of systems, connections and oneness. So when we look at flexibility it is not just a matter of this muscle or that but this pathway. For instance, we have the well known Taiyang tendon pathways which traverses from the the foot all the way to the head and face. It has junctions at places like the Achilles, Sacro-iliac, and scalp where the pathway binds (fascial / soft tissue binding). These places are where we most likely lose flexibility. So a tightness in ones achilles may also be triggering an occipital headache or even ocular migraine. One of the best treatments in this instance is a combination of acupuncture and cupping or scraping (only after correct diagnosis). Strength training for back pain is obviously essential but it MUST be at the right time. All too often in my acupuncture clinic I see patients who have been given weight bearing strength exercises too early resulting in further pain. Stability and length must be achieved before strength training can be implemented. Strength will only come after the back pain has diminished and the structures are able to play out their role as a collective unit. As mentioned above under stability pain in one area of the body will often be related to pain in another area. This is not just exclusive to musculo-skeletal pain. Lower back pain, for instance, may have associated symptoms within the bowels, stagnant syndromes related to the menstruation cycle, and svn respiratory issues such as the inability of the diaphragm to descend. It is vital that these associated symptoms (whether you think there are or not) are discussed with your practitioner. How long have you had the pain? What other treatments have been started? Has the pain presentation changed since its inception? These and other questions must be asked. Time and origin of pain and whether the intensity of that pain has changed is important not only for treatment but also for prognosis and whether the need for referral is necessary. If chronic, yet not an emergency, pain will shift over time. This will occur because muscle groups will compensate and pain perception will alter. The above is a brief overview of what is needed when addressing back pain with Acupuncture. If you are suffering from back pain of any kind address it as soon as possible with the right practitioner. 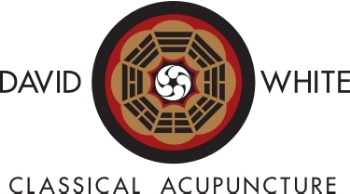 Classical Acupuncture Sydney, with locations in the Sydney CBD and Crows Nest in North Sydney has a great network of practitioners from all different disciplines, ranging from physios to massage therapists and spinal surgeons. If you are suffering from back pain, acute or chronic connect with our clinic via the form below to find out what treatment will suit you best and whether a consultation is needed. If you would like to book a treatment straight away please call (02) 8095 8255.